Developments and trends in Communist education are traced in this authoritative survey by specialists. Eight chapters deal with particular aspects: ideology, psychology, the selective process, the roles of teachers and parents, polytechnical education, the universities and professional institutes. Three chapters survey the former East Germany, Poland and China as special case-studies. A concluding chapter examines common ground between Communist and other systems. Preface. 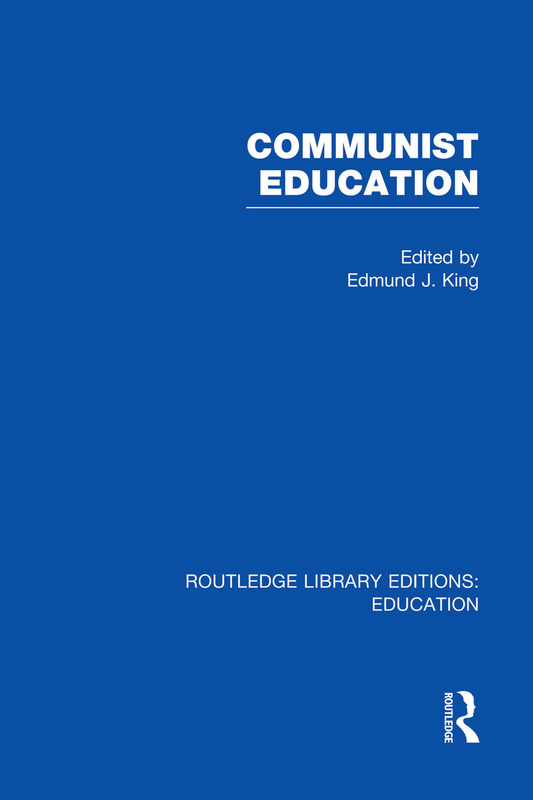 1 The Concept of Ideology in Communist Education Edmund King. 2 Soviet Educational Psychology Neil O’ Connor. 3 Russian Children at Home and in School Mary Waddington. 4 The Traditional and the Distinctive in Soviet Education William R Fraser 5 The Role, Status, and Training of Teachers in the USSR A Elizabeth Adams. 6 Selection and Differentiation in Soviet Schools John J Figueroa. 7 The Polytechnical Principle Kenneth F Smart. 8 Higher Education C L Wrenn 9 East Germany – Distinctive Features David Johnston 10 Poland – A Statement of Aims and Achievements Bogdan Suchodolski. 11 China Joseph A Lauwerys. 12 Common Ground between Communist and Western Education Joseph Katz. Index.